We will be auctioning off 2 watercolor painting’s each, 15 X 11.5 inches, one is horizontal the other veritical. A painter from her youth, Monica was born in Bethesda, Maryland and attended the California College of Arts and Crafts where she first professionally illustrated a limited edition book of poetry, ‘Knowing is a Sometime Friend,’ by Maurishka Tagliaferro, Spiro Graphics. She continued advanced studies in art and anthropology at Texas A &M University. 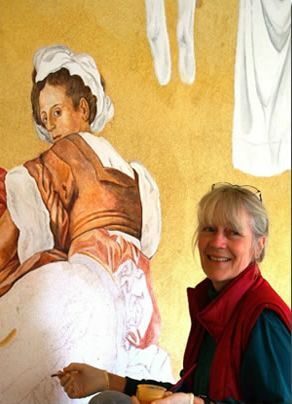 Between active duty Navy painting assignments, most recently for the Commander, Fleet Air Mediterranean, Monica continues to paint the luminous French and Italian countryside. 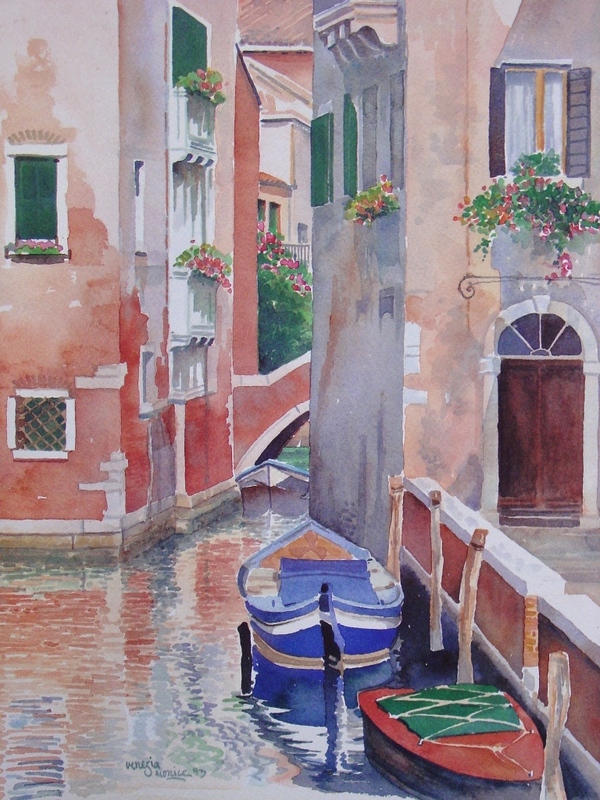 She enjoys painting marine ‘scapes,’ fishing boats of all kinds and the play of light in and reflection on water. Fields of lavender and the ageless villages of the South of France, where she resides with her husband, also play a large role in her paintings.